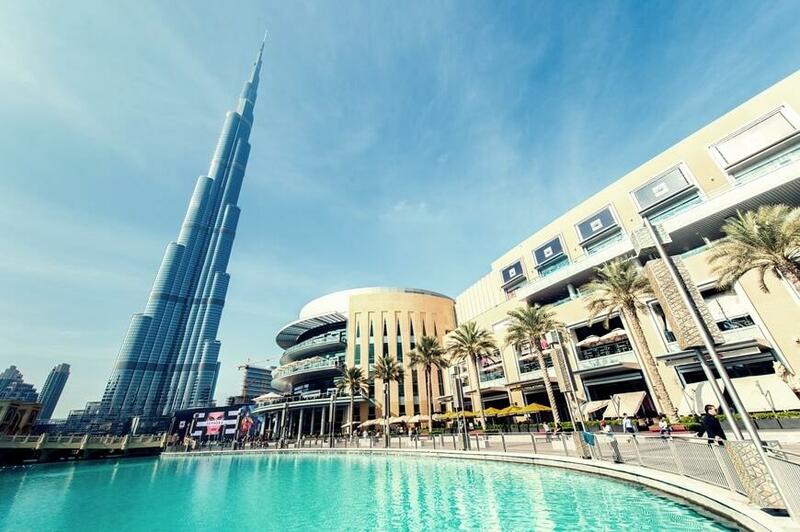 The Burj Khalifa Tower - is the tallest building in the world with its 828 meters high since its completion in 2009. But we have added the tower to our series of building portraits not only because of its record height. It also symbolizes the extent to which architecture and architecture have developed in the meantime, and to what extent our industry is now capable of doing so. One can certainly argue about the extent to which the Burj Khalifa justified his immense building costs and that far more useful buildings could be built with money. Nevertheless, the end result convinces through its considerable futuristic design and, without a doubt, the building has increased the global awareness about the architectural industry. Official construction began on January 6, 2004, without the architects being sure at this time how high the tower would actually be. The plan was initially to exceed Taipei 101 with a height of 508 meters by only a few meters, but after casting the reinforced concrete core of the foundation, it soon became clear that a much greater height was possible. After extensive load tests on the foundations were successfully completed in early 2004, the piles were erected from April to July. In order to reinforce the foundation on the sandy ground, the 7,000 square meter foundation slab is supported by 500 concrete piles with a diameter of 1.5 meters and a length of 50 meters as well as 650 additional piles. Then the construction of the floors, which was carried out in three-shift operation and with around 2400 workers at the same time, was started. Because of the heat only at night could be concreted - nevertheless, the tower grew every four days around another floor. On Christmas Eve 2006, the tower became the tallest building in Dubai, and on April 7, 2008, it was officially declared the tallest building in the world. After 28 months of construction, the last façade section was installed in September 2009. On 4 January 2010, the official inauguration of the tower took place. The aim was to build a building that would house 30,000 apartments, nine hotels, a 3-hectare park, a shopping center and its own lake. In addition, this construction of the superlative Dubai's tourism industry should consolidate. The government of Dubai wanted the state to be known not only for its wealth of oil but also with tourist attractions. However, Dubai was unable to finance the tower and other construction projects by itself, which is why it has borrowed several billion dollars from the United Arab Emirates. The total cost of the tower was around $ 1.5 billion. In addition to Skidmore, Owings, and Merrill, the property developer Emaar Properties also brought Hyder Consulting as main responsibility builders on board. In order to build the tower at this record height and under the difficult weather conditions of Dubai, the architects had to develop a new building structure - a hexagonal base, which is based on a Y-shape. The exterior facade consists of 142 000 square meters of reflective glass, as well as aluminum-bearing steel frames. A total of 57 elevators and 8 escalators were integrated into the building. In total, the tower extends over 160 floors. The tower's drainage system processes 946,000 liters of water per day using 100 kilometers of pipes.